I have been a lady of leisure this week as I decided to take some time off from work. I toyed with the idea of heading off to an exotic location but in the end decided I wanted to catch up with family, friends and Christmas shopping. In the two years that I have been blogging I have formed online friendships with some lovely people. I decided I would like to use my time off to finally meet Jessica and Andy plus visit their new venture Samsara Skin. Jess and Andy have always been supportive of my blog and we share an interest for natural skincare and a love of Bodhi. 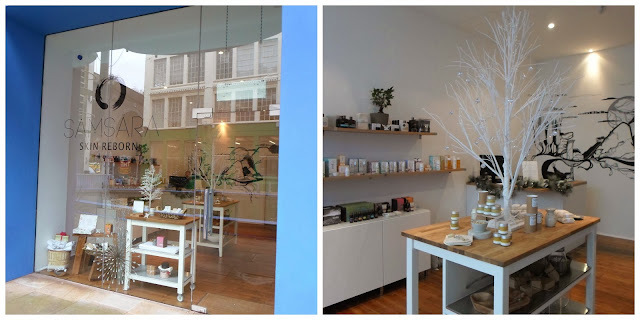 If you ever find yourself in Birmingham wanting skincare advice, a facial treatment or natural and organic skincare, you need to pop in to Samsara at the Custard Factory. Jess and Andy are two of the nicest people and welcomed me with open arms. Their store is elegant and stylish with a comfortable treatment room. I only wish Birmingham was closer to me so that I could visit them regularly. However, if you are not nearby be sure to check out their online shop as you will find some gorgeous products from Bodhi, Pai, Balmology, Honest, We Are Tea and Viridian Nutrition. Whilst in Birmingham, I obviously had to eat some food. I gorged my way around the German Christmas market but I also visited The Warehouse Cafe. It is a small cafe, nothing swish about it but still very welcoming and best of all catering only for Vegetarians and Vegans. I had a falafel wrap and my other half had a refried tortilla. I can also recommend Handmade Burger Co at the Bull Ring. They had seven vegetarian burger options and one which was specifically vegan. I have never had this much choice in a burger joint. 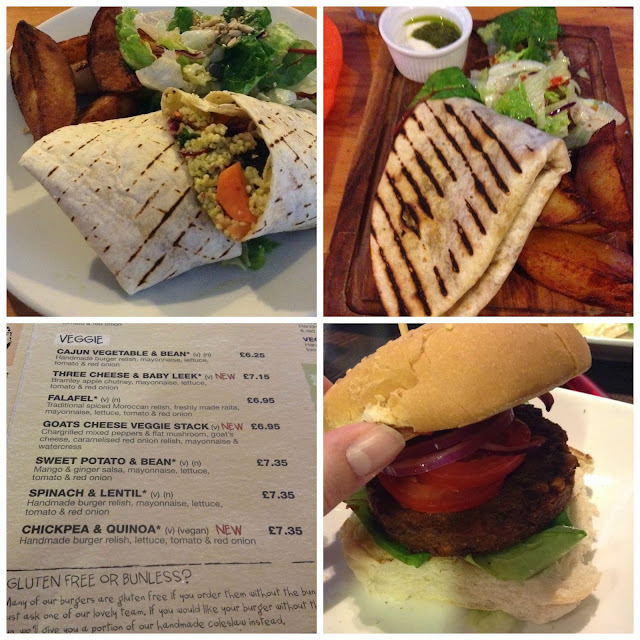 I went for the vegan chickpea & quinoa and enjoyed every mouthful. Birmingham may not be the most exciting of places to visit but there are definitely a couple of hidden gems. Sounds like a really really nice day. It's the best when you actually get to meet people from this community.